The last couple of days have been fairly short work sessions spent preparing more parts for priming by deburring and dimpling for flush rivets. Looking forward in the plans revealed almost all of the parts in section 23 will receive a top coating … most all of them show inside the cockpit. Because the Jet-Flex takes litterely weeks to obtain full cure, decided it best to forge on and get as many interior components finish coated as possible. The plan was to prime today and topcoat tomorrow but Mother Nature had plans of her own which were not conducive to painting … rain and cold … today the rain, tomorrow the cold. Fortunately, it is just a brief cold front moving through and after the weekend the weather should be perfect for spraying. Probably a blessing in disguise because it will give me the opportunity to prepare both side skins and dimple the parts for flush rivets over the weekend. Pressing on, the F-1205B roll bar mounting plates were deburred with a file and smoothed in the Scotch-Brite wheel along with the F-1205A and F-1205C mid-fuselage brace and mid-fuselage brace close-out respectively. The F-1205B roll bar mounting plates should be countersunk but plan to hold off at this time because there may be room to attach them with AN426AD4 rivets as opposed to countersunk pop rivets. Will need to assemble the parts later to see if there is room for squeezing solid rivets ... if so, will countersink to 100 degrees if not then the countersinking must be 120 degrees for the flush rivets called for in the plans. Figure I can still prime and paint now and just use lots of care and countersink later then prime the countersinks with a new tool I received in the mail. Deburring the F-1205B roll bar mounting plates on the Scotch-Brite wheel. Deburring F-1205A & F-1205C mid-fuselage brace and mid-fuselage brace close-out using the small Scotch-Brite wheel. W-1203H-L&R arm rest brackets marked for separation followed by a deburring. 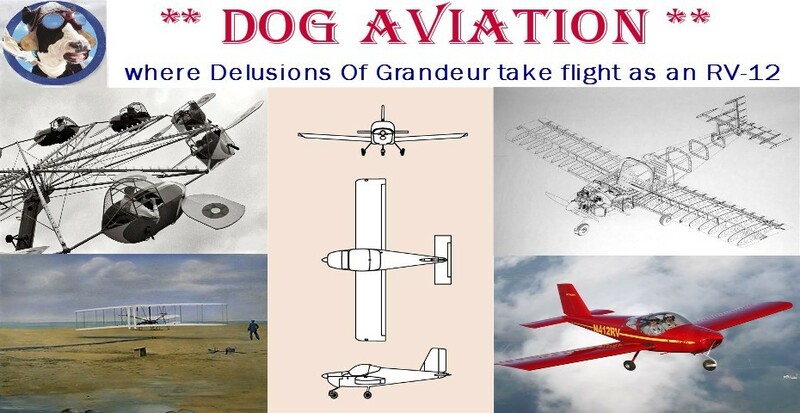 The DOG Aviation receiving department accepted delivery of a couple of packages filled with goodies, two of which may possibly interest builders. The new 1.8mm spray gun tip is now in the shop and will be used during the next Jet-Flex spray session … hopefully, it will not prove to be too large of a spray tip and be useful to improve the quality of the Jet-Flex finish. Also ordered with the spray gun tip was a tube of very tiny disposable touch-up applicators. They will come in handy, especially during those rare occasions when machine countersinking a painted part is necessary. They look small enough to paint countersinks without making a mess of things and should be able to make small touchups quite easy. During the return trip from Oshkosh a detour was made to Chicago to visit Marty, a long time friend and Oshkosh AirVenture travel companion. Marty gave me a woodworking catalog which he felt had cool tools that may be of interest to me. While paging through the catalog, ran across some detail sanding sticks which looked promising so they were ordered and just received. Wish I would have had these sanding sticks earlier in the project they are really cool. Thanks Marty! Sanding sticks from Woodcraft ... each stick has a different grit paper and there are plenty of spare sanding belts. The sticks are spring loaded to keep the belt from moving while in use … the stick is compressed so the belt can be rotated to a fresh spot. New 1.8mm spray gun tip for the HVLP gun – hopefully it will work well with the Jet-Flex paint. On the bottom of the photo is a tube of tiny disposable touch-up applicators. If you look closely, there is a small bunch of fine bristles on the end of the applicator. Before closing shop for the night, the F-1203G-L&R bulkhead channels and F-1202E-L&R bulkhead side channels were dimpled for the flush rivets being used on the RV-12 project. The channel’s flanges were measured prior to dimpling and it was determined they were not 90 degrees … so the protractor was used once again to make sure the flange angle could be returned to the proper setting after dimpling. Dimpling one of the F-1203G bulkhead channel for the 120 degree flush rivets being used on the project. Using the protractor to check the F-1203G flange angle after dimpling … it only changed a couple of degrees, so was easily tweaked back into the proper angle.